Section 1. The name of this organization shall be Puget Sound Chapter, Its seal shall be a design adopted by its Executive Committee, if desired. Its principal location shall be Greater Seattle, Washington. The mission of Sisters in Crime, Inc. is to promote the ongoing advancement, recognition and professional development of women crime writers. Section 1. PROFESSIONAL Membership. A PROFESSIONAL member is a paid-up member of both Sisters in Crimes, Inc., and Puget Sound Chapter who is one of the following: an author pursuing a career in crime and mystery writing, a bookseller, a publisher, a librarian, an editor or one who has a business interest in promoting the purposes of Sisters in Crime, Inc., as defined in Article II. Section 2. ACTIVE Membership. An ACTIVE member is a paid-up member of both Sisters in Crime, Inc., and Puget Sound Chapter who does not have a business interest in promoting the purposes of Sisters in Crime, Inc. This includes, but is not limited to, fans and readers. Section 2. No part of the net earnings of Puget Sound Chapter shall inure to the benefit of any member, director, or officer of the organization, or to any private individual, provided, however that reasonable compensation may be paid for services rendered to, or for, Puget Sound Chapter (subject to the provisions of Article VI). Section 3. If there is a cash surplus at the end of the fiscal year, it shall be retained in the treasury of Puget Sound Chapter to be used to further the purposes of the organization. Section 1. The officers of Puget Sound Chapter shall be a President, a Vice-President, a Secretary, and a Treasurer. They shall be Professional or Active members of both Sisters in Crime, Inc. and Puget Sound Chapter. These officers shall constitute the Executive Committee. Each officer may serve two one-year elected consecutive terms in the same capacity. Section 4. The Secretary shall take minutes at all general membership and Executive Committee meetings, handle correspondence in coordination with the President, keep a file of publications and publicity, and perform such other duties as may be directed by the Executive Committee including the maintenance of a membership roster and information on the chapter’s website. Section 5. The Treasurer shall be responsible for all financial matters of Puget Sound Chapter including the collection of dues and other income and payment of expenses, maintain bank account(s), keep accurate financial accounts, and prepare and submit a financial statement whenever the Executive Committee or general membership requests it. The Treasurer, or any person or persons designated by the Executive Committee, may make disbursements from the treasury as authorized by a majority vote of the Executive Committee and general membership. Section 7. None of the officers of Puget Sound Chapter or any other members of the Executive Committee will receive a salary or compensation for services rendered except for reasonable reimbursement of expenses incurred with their service on behalf of the organization. Section 8. IMPEACHMENT OF OFFICERS. Officers can be impeached for dereliction of duty or malfeasance by a majority vote of the general membership, present or voting by proxy at a regularly or specially scheduled meeting with at least 10 days notice of the matter under consideration being sent to the membership. Impeachment includes (a) notifying the officer in writing of the charge(s) and by whom made, as well as filing said charge(s) with the Executive Committee, and (b) investigating the charge by a committee of members, none of whom is a member of the Executive Committee and chaired, if possible, by a former president or other officer of Puget Sound Chapter. The committee will be selected by a majority vote of the Executive Committee. Following the investigation of the charge(s), if a majority of the investigation committee votes to proceed, the committee will hold a hearing under circumstances that will give the accused officer(s) ample opportunity to present a defense. If the investigating committee recommends impeachment by a two-thirds vote, notification of the call for impeachment will be sent to all members together with a statement summarizing the recommendations of the investigating committee. The membership will vote on impeachment of the officer(s) at the next membership meeting after a full and open hearing of both sides. Section 1. Standing Committees shall be established by the Executive Committee, as needed. Chairs of the Standing Committees shall be appointed by the Executive Committee from the membership. Chairs shall serve at the pleasure of the Executive Committee. They must be Professional or Active members of the organization. Section 1. 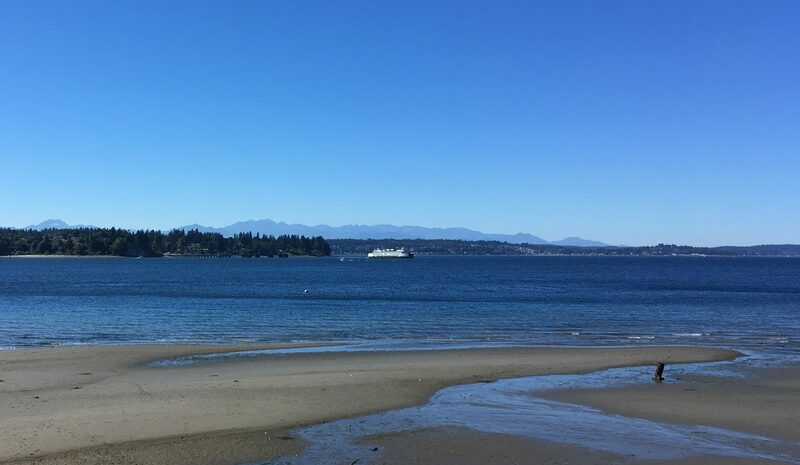 Puget Sound Chapter shall meet at least once a month at a designated location or on another schedule as determined by the Executive Committee. Meetings shall be conducted in accordance with the parliamentary procedure prescribed by the current edition of Robert’s Rules of Order or by any other generally accepted procedure agreed upon by the Executive Committee and announced to the members. Section 2. Executive Committee meetings may be held when and where the Executive Committee determines, either in person, by proxy or by conference call or other media access. A quorum of at least 3/4ths of the Committee members must be present. Section 1. Officer election will take place at the regular chapter meeting each November. The vote will be made by secret ballot or by a show of hands. An absentee ballot can be sent to members who are unable to make the meeting in order to vote by proxy. The deadline for returning the absentee ballot is at least one week before the election. Only fully paid-up Professional or Active members may vote. In the event of a tie, a run-off election will be held. Chapter governance will change hands the following January 1st. Section 2. Nominations may be made by general members. Nominations should be suggested to the Executive Committee who will prepare a slate of nominees. The deadline for submission of nominees is one week before the October meeting. Section 1. Every member shall pay chapter dues annually. The amount of chapter dues is determined by the Executive Committee. If a member joins in the 10th calendar month or after, dues paid will cover the following year as well. Section 3. Members of Puget Sound Chapter [insert chapter designation] are also required to be members of Sisters in Crime, Inc. SinC’s organizational dues are collected separately by SinC. Collection of these dues is not the responsibility of the chapter, but the chapter is responsible for confirming that SinC dues have been paid. Section 2. MISCONDUCT. “Misconduct” is defined as conduct inimical or harmful to the purposes and/or good repute of Sisters in Crime, Inc. The Executive Committee may suspend or expel a member for misconduct, but may do so only after a full investigation has been made. The investigation shall include (a) written notification to the member of the charge and by whom made; (b) arrangement for a hearing, either before the Executive Committee or before a committee appointed by the Executive Committee: and (c) holding the hearing, in circumstances that will give the accused member ample opportunity to present a defense. If the hearing is before a committee, the committee may make a recommendation but the decision will be made by the Executive Committee. If the accused member is unavailable, or refuses to participate in the hearing, or makes unreasonable demands regarding the arrangement, the Executive Committee may proceed with the investigation, and act, without a hearing. Section 1. These bylaws shall constitute the bylaws pro tem of Puget Sound Chapter upon approval by the Executive Committee and shall continue as bylaws pro tem until amended and/or approved by a majority of the Professional or Active membership at a regular meeting or by absentee ballot. Bylaws shall be distributed to the members of Puget Sound Chapter thirty (30) days prior to a chapter meeting, accompanied by an announcement that a vote on the bylaws will take place at that meeting. Absentee ballots may be sent to members upon request. Approval of the bylaws require an affirmative vote of a majority of the members participating in the vote. Section 1. Puget Sound Chapter will be dissolved only after such proposal has been accepted by two-thirds (2/3) of the Executive Committee and notice has been distributed to the membership and to the parent SinC organization. Voting on the proposal shall take place at a monthly meeting or at a special meeting called by the Executive Committee. Such voting shall be done by the members in person or by proxy. Approval to dissolve the chapter requires a two-thirds (2/3) affirmative vote by the members who participate in the voting. Section 2. Upon dissolution of Puget Sound Chapter its property and assets shall be distributed as follows: (a) all liabilities and obligations of the chapter shall be paid, satisfied, and discharged, or adequate provision made hereafter; (b) assets held by the chapter requiring return, transfer, or conveyance, which condition occurs by reason of the dissolution, shall be returned, transferred, or conveyed in accordance with such requirements; and (c) any remaining assets shall be distributed among such tax-exempt institutions or charities whose purposes are in whole or in part compatible with those of Sisters in Crime, Inc. These institutions may be proposed by the Executive Committee but must be approved by two-thirds (2/3) vote by those members present in person or by proxy at a special meeting held for the purpose. Section 2. All meetings of Puget Sound Chapter and its Executive Committee will be conducted in accordance with the parliamentary procedures described in the current edition of Robert’s Rules of Order, or by another generally accepted procedure agreed upon by the Executive Committee and announced to the members.